The town of Petare is huge. There are mountains upon mountains full of improvised dwellings made of cinder blocks, zinc roofs and bare walls. This popular sector, located to the east of Caracas, is considered one of the largest—and most unsafe neighbourhoods in Latin America, inhabited by more than 700,000 people. There are hundreds of neighborhoods that coexist there, side by side. In one of them, known as Mesuca, there is a sports center: it has a swimming pool, an Olympic diving pool, areas for athletics, and basketball. And a soccer field, where children and adolescents spend mornings and afternoons playing. It is like an oasis that isolates them from the violence and crime that rages around them. Eithan Fincheltub used to go. He did not live in Petare. But he often went to accompany Brian, his older brother, who participated in social and community projects in that sector. They come from a middle class family in which they were taught to help others. 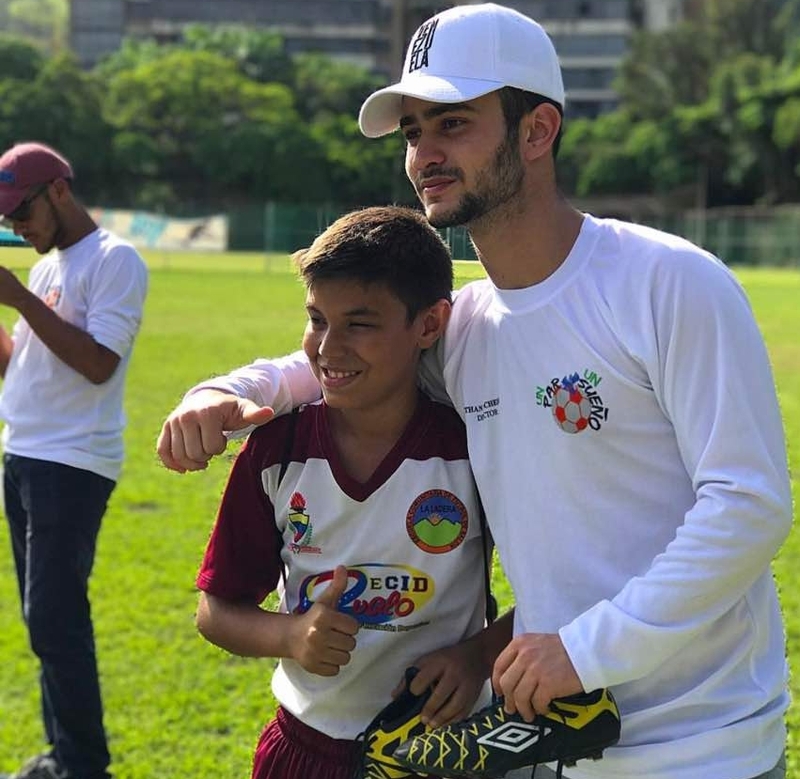 While Brian worked, Eithan teamed up with the local kids to test his talent as a soccer player. But, suddenly, a moment came when he began to see that his friends were no longer going to the court. When he asked them the reason for their absence, some told him they did not have shoes to play with. And so Eithan, who at that time was only 14 years old, decided to organize a collection. Now, four years later, 80 schools in Caracas are linked to the initiative. The educational institutions function as collection centers: those who have shoes that they wish to donate, can take them to one of those schools. Then the team from “A Pair for a Dream” is in charge of classifying them by size and distributing them. “Most are used, but there are also those who bring new ones. We always evaluate them and give only those that are in good condition, because for us it is very important that the kids feel worthy and important, ” insists Brian. The “A Pair for a Dream Foundation” took another course since 2016. Brian, who was in charge of the sport management of the Sucre Municipality during the administration of Mayor Carlos Ocariz, warned that school dropout rates in Petare were increasing rapidly and that fewer kids were training. The reason was worrisome: the young people were hungry. Moved, they felt that they had to help and for that they had to diversify the work of the foundation: it was no longer a question of giving shoes, but also food. So they created a program to feed 1,500 young people. To obtain the resources, in September of 2017, they organized a concert called “Venezuela Dreams” in the Watsco Center of the University of Miami, in which more than 18 artists participated, among them the singer Miguel Ignacio Mendoza—Nacho—; and 3,000 people attended.